Floyd Mayweather likes to fight. A lot. So if you say something that he doesn't like, he will disagree with you and he will start an argument with you, regardless of who's watching. Just take a look at what he did recently when a woman approached him and told him that she didn't know who he was. Rather than just brushing her off, Mayweather spent time—quite a bit of time actually—arguing with her about why she should know who he is. It made some people mad, but Mayweather didn't care. Arguing gave him the chance to say what he wanted to say to the woman. At this point, Mayweather's arguments have become legendary. From the disagreements he's had with his dad Floyd Mayweather Sr. to the issues he's had with boxing analysts, he's argued with everyone. 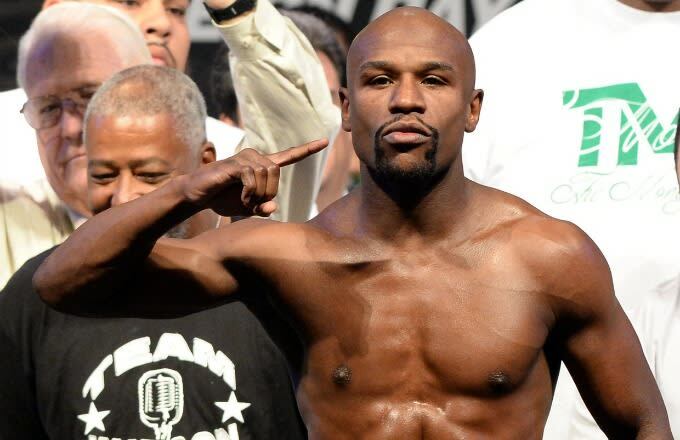 So after seeing him get into a verbal altercation with the woman in London, we decided to take a look back at Floyd Mayweather's Most Memorable Arguments. Watch him go.